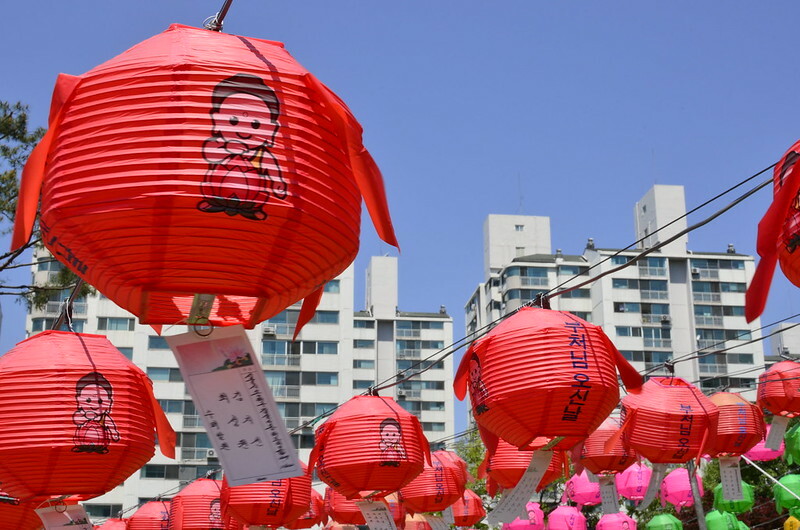 I’m inclined to think that Buddha’s Birthday is one of the nicer holidays in Korea, where the majority are made up of celebrations for independence and the constitution and such like. Granted that they are all important, but they are in some respects new holidays. Celebrating the Buddha has been going on in Korea for a long time, and maybe something of the history has rubbed off on folks. 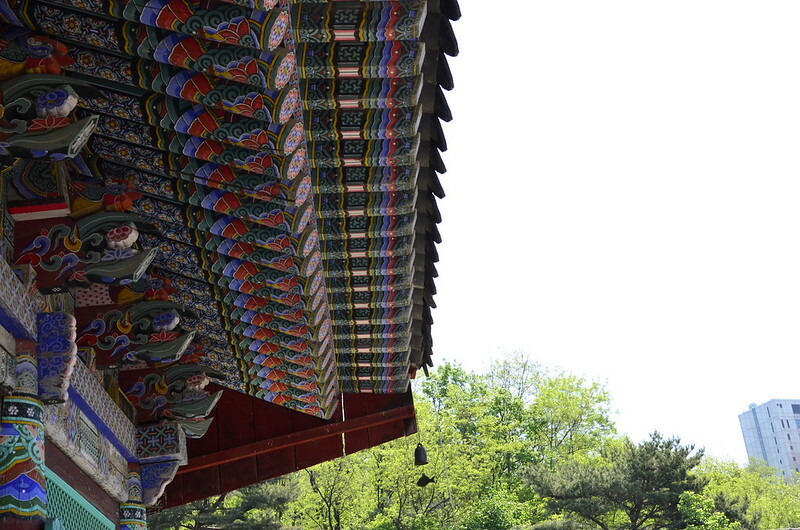 Buddhism has been practised in Korea since around the fourth century, and was welcomed in both the Three Kingdoms period and the Unified Silla period. During the Chosun dynasty, while not entirely ostracised, much Buddhism was forced to the side and practice was reserved in secluded mountain areas. Today this could be why many Buddhist temples can be found on hills and mountainsides – or it could be that they are just nice places to have temples. We’ve been coming the 반야사 for a few years, and it is a different place to the usual mean and impersonal streets of Yeongtong. I don’t want to say that people change when they step on to the green grass looking out over the many high-rise apartments across the horizon, but there seems to be a different attitude. Courtesy is one thing that is in abundance, and smiles, and conversation with strangers. The chanting from the loudspeakers and the moktoks steady hollow tapping has a positive influence on even the sourest citizen it would seem. 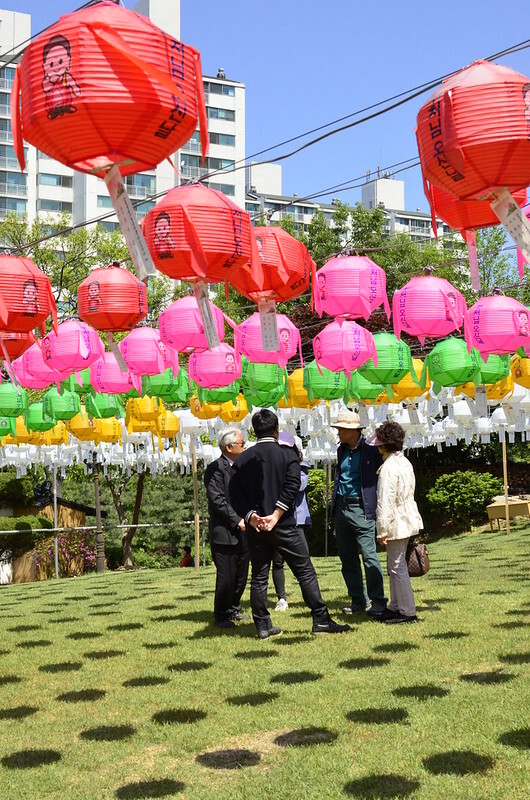 To add to this, the sun was shining down warming the small tree protected garden of dry grass and multicoloured lanterns. The colours were lined in neat straight rows, each lantern recognising a donor and that a prayer would be said in their honour. 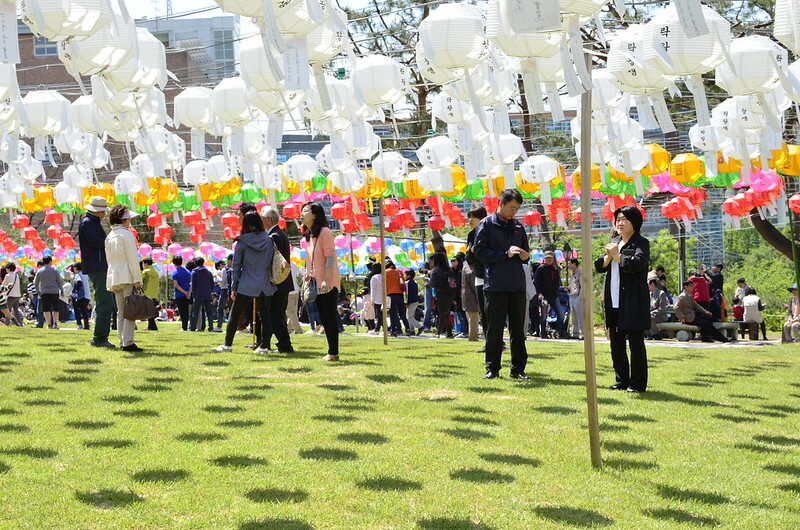 To the side lines of white lanterns were representative of those who have passed away. The stone pathway which dissected the garden, halfing the garden, with the temple to one side and the a large open area filled with mats for sitting on the other. Here people had gathered in family groups and were sitting and chatting while enjoying the temple food. This was a simple mountain or san-chae bibimbap - essentially, fresh greens, some bean sprouts, mushrooms, a kimchi, and of course red pepper paste known to everyone else who isn’t a fresh off the boat tourist as go-chu-chang. 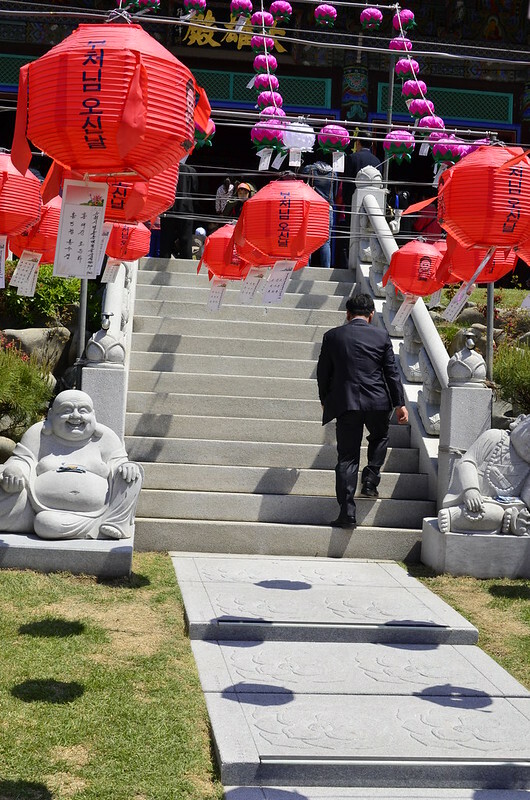 We have been celebrating Buddha’s Birthday in Korea for as long as myself and Herself have been a couple. It’s kind of a thing we like to do. 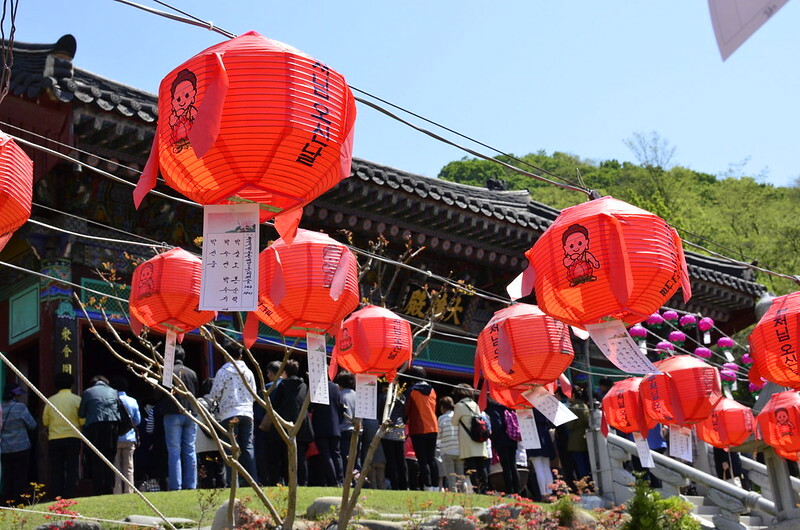 Before we would go to Gangwon-do and visit a small temple Herself’s mother used to go to. 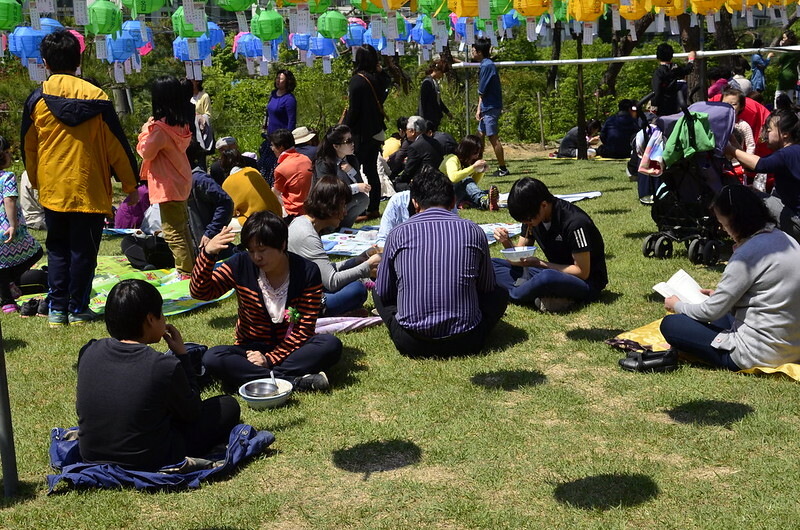 Again, it was a similar set up without the nice grass, but admittedly the food was better (it is Gangwon-do of course). After that we’d usually go for a walk through Odaesan National Park, for more food and of course the beautiful Seogumgang Valley. But none of that this year. Lovely Yeongtong was on the cards, and in fairness it didn’t disappoint. Did you celebrate Buddha’s Birthday? What did you do? Is there any local festival specific to your home you’d like to share?